Anxiety issues affect about 30% of the United States adult population at one time or another, according to the research done by the World Health Organization. Anxiety comes about for many reasons: genetics, your ability to manage body sensations, your emotional life, the perception of threats to your well-being and the culture in which you live. 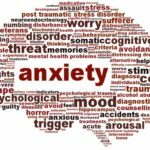 Anxiety is the most common mental health diagnosis given and therefore has a wide variety of treatments. Treatments that have been shown to be effective for anxiety vary quite a bit and it is not always easy to predict which ones will be helpful for a given individual. Here are some of the most common: medications, psychotherapy, cognitive-behavioral therapy, acceptance therapy, exposure therapy, hypnosis, acupuncture, massage therapy and self-help workbooks. One of the most effective self therapies is a program of vigorous exercise to the point of sweating, a minimum of three times per week. If you are already exercising and meditating, you have taken a big step forward in learning to manage the unpleasant physical sensations that are associated with anxiety. The thoughts that are associated with anxiety tend to be thoughts about future events that will turn out badly or even catastrophically. Typically these thoughts begin with “What if…” and then your creative imagination takes off. Mild anxiety can actually be somewhat helpful as a form of problem-solving for future scenarios. For example, some mild anxiety can motivate you to take positive action if you imagine the consequences of not doing the action. Positive preparation can be preparing for an exam, filing taxes, saving for emergencies, scheduling a medical appointment or any of things we do because we are motivated by a level of optimal anxiety. We don’t want our anxiety to be so low that we ignore important tasks. Once accomplished, these tasks bring relief. Anxiety that is too high leads us into difficulty however. We wear our bodies down when we are too physiologically aroused over a long period of time and we are prone to illness. We start to avoid tasks that make us anxious and make our lives more difficult, increasing our anxiety rather than discharging through positive action. We can self-medicate with alcohol, drugs, passive escapism or other negative behaviors. Most importantly, we lose the pleasure of living and ironically, we start to become anxious about the possibility of getting anxious. This can become a self-perpetuating cycle that drives us and our loved ones into a near constant state of worry. One of the most important skills to develop in life is to learn how to soothe ourselves when we start into anxiety. It is common to turn to others and ask them to talk you down from your anxious state. Receiving reassurance from others can help you calm, but when anxiety is chronic and self-perpetuating, your social support system will begin to wear down. Learning to self soothe is a positive step that you can take to work with your own anxiety. You can use breathing techniques, positive visualizations, self talk and many other tools to help yourself. If you are concerned about the impact of anxiety on your life and would like a consultation, please feel free to contact me.